The 1861 Census does not indicate a house on this site at all. However a rate book of 1867 makes reference to the fact that John Powell was to pay tax on a new house in Front Street which we believe to be what is now 20 Castle Street in Thornbury. Click here to read about the Fewster family. The photograph above left probably shows a very different house from the one John Powell seems to have built. The garage to the right was originally a coach house and there are apparently still signs of its earlier use, including a central drain. It was rebuilt by Mr Knapp into a garage with a room over. Behind the house near the bottom of the garden was a stable with a room over it. John Powell. The man who may have caused the house to be built, John Powell, was the son of William Powell and his wife Ann nee Thurston. He was baptised on 28th May 1823. William and Ann Powell lived at Clematis Cottage in Castle Street and John was living with them there in the 1841 census. John Powell became a mason like his father, William. John Powell married Jane Poole, the daughter of a labourer called Thomas Poole on 7th March 1846. Jane was born in Uphill in Somerset. From at least 1849 John Powell’s name appears in local trade directories as a stone mason. The 1861 census shows that John Powell was then a master stone mason living at 12 The Plain aged 37 with his wife Jane. Around 1867 we believe that John and Jane moved into number 40 Castle Street with John’s brother William who was a milkman and they rented 20 Castle Street to Dr Edward Mills Grace until about 1869. The 1869 Rate Book shows E M Grace was the occupier of the house but Edward Mills Grace had married on 5th February 1868 and presumably felt that the house was not suitable for his new bride. By the 1871Ccensus Dr and Mrs Grace had moved to 13 The Plain and the Misses Cornock were living in 20 Castle Street. Please see below for an account of Mary and Ellen Cornock. John’s wife, Jane Powell, died aged 54 and was buried on the 10th June 1879 in Thornbury. By the Census of 1881 John as a widower aged 57 had gone to live with George Fry a tailor and his wife Elizabeth in the High Street. Elizabeth was John Powell’s sister and she had married George Fry from Tytherington on 21 July 1844. In 1891 John Powell was still in lodgings with the Fry family and his brother William had joined him as a lodger in the house. John Powell died 30th December 1893 aged 69 years. The Gazette of December 30th 1893 reported that John had been walking along the fields from Thornbury to Alveston when he had an “apoplectic seizure”. Apparently he was taken home and medical assistance called but he died soon afterwards. By the 1871 census John Powell a mason aged 47 and Jane his wife aged 46 had moved to number 40 Castle Street to live with with John’s brother William. Also by this time Dr E M had moved out of number 20. Mary and Ellen Cornock. The 1871 Census showed the house was occupied by two sisters, Ellen Cornock aged 60 and Mary Cornock aged 58. Both ladies were living on their own means and both were born in Shepperdine. Ellen Cornock and Mary were two of the daughters of Nicholas and Mary Cornock. 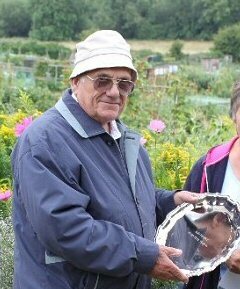 Nicholas was a farmer in the area of Oldbury and Shipperdine. Nicholas married Mary Comely on 4th June 1801. Their family was a large one. Ellen was born on the 4th of September 1807 and baptised on 27th of December and Mary was born on 21st March 1810. Nicholas Comely Cornock was born on 17th April 1802. Emma Neale Cornock was born on 27th June 1804. Henry was baptised on 14th March 1813. James Comeley Cornock was baptised 27th April 1817. Anna Frances was baptised 1st April 1820. In the 1841 Census Ellen and Mary Cornock, aged about 30 and about 27 years respectively, were living with their parents, Nicholas and Mary Cornock in Oldbury on Severn where Nicholas was farming. The family then went through a very difficult period. Henry Cornock, Nicholas and Mary’s son died on May 16th 1850 aged 43. Nicholas’s wife, Mary Cornock died later the same year on October 6th aged 69 years. In the census of 1861 Nicholas was a widower. He and his three daughters; Ellen 48, Mary 45 and Anna Francis 33, lived in a house in St John Street (now 9, Pullins Green). Nicholas Cornock died February 25th 1863 aged 87 years. We have evidence in the Rate Books that “Misses Cornock” lived at 5 Castle Street by 1867. However the 1871 Census shows only Anna Frances Cornock in that house. We do not know whether Ellen or Mary ever lived at 5 Castle Street. By 1869 only “Miss Cornock” was shown in the Rate Book as the name of the new tenant of 20 Castle Street. However the two sisters Ellen and Mary were living together in the 1871 census. By 1876 Anna Frances, the other sister, had moved into 13 Castle Street where she lived alone until her death. The 1876 and 1877 Rate Books show that “Miss Cornock” occupied 20 Castle Street but did not own it. John Powell was still described as the owner. It seems that the Miss Cornocks bought the house at some stage. Because we have not seen the deeds we do not know exactly when. The 1878 Gas Rate Book showed Mary and Ellen Cornock as occupants of the house, rather than owners but the owner’s name John Powell was crossed through which would normally indicate a change. However the two subsequent rate books do not reflect this change. It was not until 1885 that the Misses Cornock were listed as both owners and occupiers of the building. The 1891 Census showed Ellen Cornock aged 77 a landowner from Thornbury with her 75 year old sister Mary also born in Thornbury. Ellen Cornock died on January 20th 1898 when she was then said to be aged 90 and she was buried in the churchyard of St Arilda’s Church in Oldbury on Severn. In 1899 the Rate Book says that Mary Cornock lived in a house she herself owned. The 1901 Census shows Mary Cornock was now aged 91 and still living on her own means. She was living with a “companion” Elizabeth Cornock, who was in fact her niece and a 45 year old spinster. Mary Cornock died on 16th June 1903. An inquest was held by Dr E M Grace on the body of Mary Cornock, a maiden lady, aged 93, who died at her residence in Castle Street. Miss Eliza Cornock, a niece of the deceased, stated at the inquest that her aunt had for some time been suffering from bronchitis. On the 20th April in attempting to pick up a newspaper which had fallen from her hand, she had slipped out of the chair and broken her thigh. Mr F Charles Whitmore, assistant to Dr Grace, said that he had attended the deceased during her illness, and attributed death to exhaustion and bronchitis, accelerated by a fractured thigh. The jury returned a verdict in accordance with the medical evidence. Mary was buried at Oldbury with her family. It seems that the ladies’ niece Eliza Linke Cornock had inherited the house. The 1910 Rate Book showed Eliza Linke Cornock lived in a house owned by E L Cornock. Eliza Link Cornock was born on 4th August 1855 and baptised 2nd September 1855. She was the daughter of James and Eliza Cornock. James was a farmer and the brother of Ellen and Mary Cornock. In 1861 he was said to be farming 106 acres with two men and one general servant. In 1871 the census showed Eliza with her parents James aged 54 and Eliza aged 52 on their farm at Oldbury Naite. Eliza was then only 15. She had a brother James aged 13 and two sisters Sarah 17 and Mary 11. The 1881 Census shows that Eliza Link Cornock then aged 25 was living with her parents James and Eliza Cornock. At that time James was 64 and Eliza 62. The Cornocks farmed 90 acres at Shipperdine Farm. Also in the household were Eliza’s brother and sister, James Cornock then aged 23 and Mary Comely Cornock aged 21. It appears that Miss Cornock added to her income by having paying guests or lodgers. In 1899 Mrs Sophia Lovegrove, the widow of Samuel Witchell Lovegrove, gave her address as “Fern Cottage ” Castle Street for a short time. In 1918 Samuel John Chaston also gave his address as “Fern Cottage” Castle Street when he applied for exemption from the Great War. He was the bailiff of Mrs Mundy at The Farm. However the 1911 Census shows no sign of any lodgers and Eliza Linke Cornock then aged 55 was living only with her niece Dorothy aged 18.The electoral rolls continue to show that Eliza Linke Cornock lived in number 20 Castle Street. 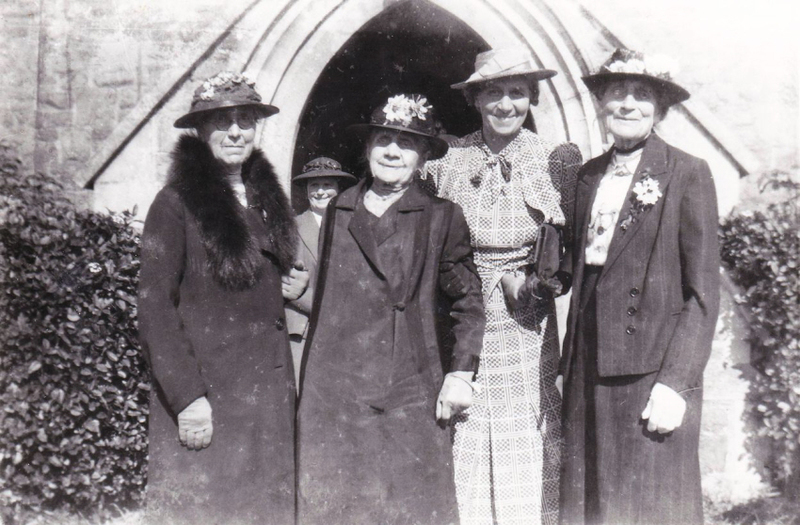 The photograph below shows Eliza Linke Cornock (left) with her two sisters Laura Willcox nee Cornock and Mary Comely Aspland nee Cornock. Also in the photograph is Laura’s daughter Elsie Cornock Willcox. Miss Eliza Linke Cornock died on 23rd February 1945 aged 89 at the Homeopathic Hospital in Bristol. Probate was awarded to her brother James Comely Cornock. The property was put up for sale on 16th May 1945 as part of the estate of Miss E. L. Cornock deceased. We have a thumbnail image of the advertisement with a full description of the property above on the left. Alice Magdalene Hodgson. We know from the Electoral Register that by at least 1950 Alice Magdalen Hodgson was living in this house. Mrs Hodgson was born Alice Magdalen Lloyd and was the daughter of Henry Hume Lloyd and his wife Alice. She was born on 26th February 1890. 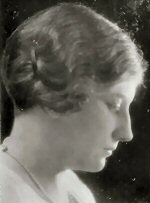 On 18th January 1923, Alice Magdalen (known in the family as Madge or Mags), married Harry Courtenay Hodgson in the English Church in Las Palmas. Alice Magdalene Lloyd is shown here on the left. Harry was the District Commissioner for Sierra Leone and son of Henry Bernard Hodgson, who had been Vicar of Thornbury St Mary’s Church 1885 to 1897, and his wife Penelope, nee Warren. He was baptised in Thornbury on 2nd March 1887. The 1891 census shows that he was living with his parents, Henry Bernard Hodgson and his wife Penelope, at the vicarage in Thornbury. By 1901 he was 14 and at school in Pocklington in Yorkshire. The headmaster was Charles Frederick Hutton who was a Church of England Clergyman. We have a record that Harry Courtenay Hodgson then aged 28 arrived in Liverpool from Sierra Leone in March 1915. The address he gave in England was Parklands near Ipswich (in 1914 his father Henry Bernard Hodgson had been created Bishop of St Edmundsbury and Ipswich). He travelled first class and was in the Colonial Government Service. 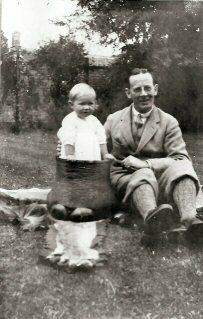 Harry seems to have brought home some trophies from his travels as can be seen in this photograph of him with his daughter Susan, who was born in Thornbury in 1925. At the time of Harry’s wedding to Alice Lloyd in 1923 his father was described as “the late Bishop Hodgson of Petersfield.” Bishop Hodgson had died in 1921. In January 1926 The Times announced that a memorial to the late Bishop Hodgson in the form of an Episcopal throne was to be placed in the Cathedral Church of St James, Bury St Edmunds. It was placed there on September 1st 1927. Harry Hodgson died in the March quarter of 1930 in Thornbury aged only 43 of Hodgkinson’s disease. Alice and her daughter Susan then went to live at what later became known as Fairfield House but was then called Hume House. The daughter of Alice and Harry Hodgson, Susan Patricia Courtenay Hodgson married Brian Gerald Ashmore of Palm Grove Claughton Birkenhead in 1949. The Rev Rawstone the vicar of Thornbury conducted the service with Rev H B Tower the bride’s uncle. She was given away by her cousin Lieutenant Commander R E Lloyd. The reception was at the Cossham Hall. The couple’s new home was to be in Sheffield. Susan is shown below here on the left. In 1946 Alice appeared to be living in Clematis Cottage with Rachel Mary Lloyd. It seems that she had moved into 20 Castle Street by 1950, but this cannot be confirmed because the house numbers were not in use at this time. In 1954 we can be certain that Alice lived at 20 Castle Street because the street numbers were used by that time. We know that Alice Hodgson continued to live in the house until about 1962. Alice Hodgson may have been living in the flat over number 20 as Dr Prowse’s daughter recalls that Drs David and Dorothy Prowse owned number 20 and used it as a surgery from about 1947. At that time the ground floor of the house had two consulting rooms, a waiting room and a small dispensary with a loo and washbasin. Dorothy and David Prowse. When David and Dorothy Prowse retired in 1959, they conveyed what had been their home, Wigmore House, to their daughter Alison and her husband John Causton. Later they moved into number 20 Castle Street. Presumably this would have been about 1962 when we believe their tenant Alice Hodgson moved to Maryport in Cumberland. The doctor Prowse’s daughter Hilary also came to live at number 20 and, later, Hilary’s family. Read more about Drs David and Dorothy Prowse. In 1965 the Electoral Register shows that Dorothy and Mervyn Tout lived in the top flat of 20 Castle Street. We believe this was as tenants to David and Dorothy Prowse. Mervyn Tout was born in Wheatenhurst in 1935. He married Dorothy M Smith in March quarter 1962 in Thornbury. The photograph on the right shows Mervyn Tout when he won the best kept allotment competition recently. In 2003 when Dr Hilary Newton moved to a smaller house the Constable family purchased number 20 Castle Street.